Kolkata, Nov 19: Former India opener Sanjay Manjrekar on Sunday said batsmen should be allowed to take cues from the dressing room when in doubt over a Decision Review System (DRS) call. Manjrekar was reacting after Sri Lanka off-spinner Dilruwan Perera asked for a Decision Review System (DRS) after apparently looking towards the dressing room. 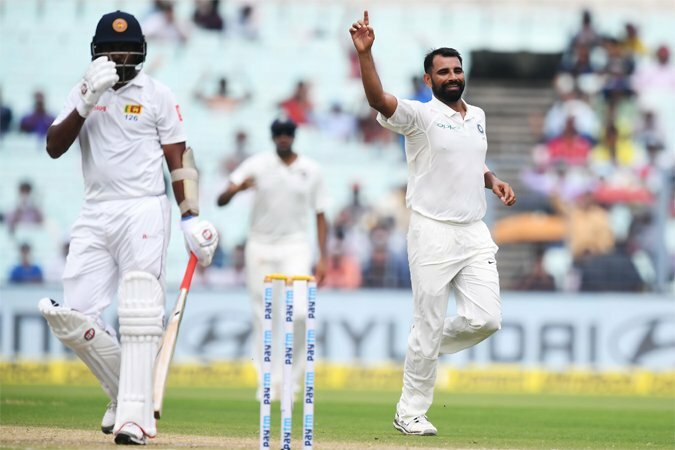 Batting on 0 after playing seven balls with the score on 208/7 in the 57th over, Perera was seen to be walking back after he was given lbw by umpire Nigel Llong off a Mohammed Shami delivery which caught him in front of the off-stump. "I just feel, what we saw on television gave you the impression that there was some indication from the dressing room to go for the DRS. But obviously there is no clear proof of that as that is something you need to back up the observation. But that clearly was the impression that I got," Manjrekar told reporters. "Having said that, going forward if you're a batting team, within the 15 seconds if the batsman wants to look towards the dressing room and get some clues about DRS, I don't think it's that big a deal. "So I think the rule maybe looked at as well, it could change because when you are there as a fielding side you have 11 players to consult. You saw Steve Smith as well...so when you are a batsman sometimes you want some help from outside," the 52-year-old added. Manjrekar, who is now a commentator, played 37 Tests and 74 One Day Internationals amassing 2,043 and 1,994 runs respectively. "When you are watching on TV you would have a better view and it's fair for both sides. The whole idea is to get as many decisions right so that the batsman is not hard done by. So going forward they should look at it. "Here, I thought there was some indication but going forward the idea is to get most decisions right," he added. According to the International Cricket Council (ICC) Standard Test Match Playing Conditions for 2016-17, the umpires may decline a review if they believe the fielding captain or batsman has received any outside input.